"Mobile" is no longer about just the mobile phone and neither is Mobile World Congress, writes Manning Gottlieb OMD's head of mobile strategy. As well it being the 10 years since the launch of the iPhone, potentially as momentous is the fact that this year will also be the 10th anniversary of my first ever trip to Mobile World Congress. However, I can’t help but wonder whether it will be my last. Back in February 2007, the iPhone was only one month old and I was a sales rep working for a specialist mobile ad-serving/network business that had recently been acquired by the then mobile juggernaut Nokia. Clutching my precious N95, I, along with a number of my new international colleagues, headed out to Barcelona to check out the great and good of the mobile device world. Back then, Mobile World Congress covered only three halls. One of the halls was focused on exhibitors hoping to sell their wares around mobile infrastructure (cell towers, switches, plastics and glasses for the phones themselves etc. A second hall was focused on companies helping to sell services that mobile operators could white-label to monetize their customers, basically a huge number of ringtone and wallpaper companies (I think polyphonic ringtones had just launched and were going to be the next big thing). The third hall was the busiest and most popular. It housed stands from global handset manufacturers like Nokia, Sony Ericsson and Motorola who were revealing their latest handsets to the masses for the first time and the stands were packed with people clamoring to get a first look. Mobile World Congress was, without a doubt, an annual celebration and focus on all things mobile. NEXTech: VR/AR, robotics, drones, and artificial intelligence spaces – See the latest cutting-edge technology of the future at NEXTech! As you can see, "mobile" is no longer about just the mobile phone and neither is Mobile World Congress. The surviving old names will still be there, but the products they’ll be heroing, as well as the businesses themselves, have fundamentally changed. Nokia, apart from being amazingly rumored to be relaunching the 3210, are now positioning themselves as leaders in VR hardware and IoT. The biggest crowds at the HTC stand last year weren’t swinging their elbows to have a go on the latest handset, they were waiting in line to have a go at experiencing Vive VR. The bulk of innovation in mobile handset hardware has shifted to incremental, but needed advances in screen size, battery life, camera upgrades, more resilient casings etc. While inarguably improving our day to day mobile phone usage, how are they ever going to compete with the excitement around the famed connected cow from 2016? (Check column inches, this is true… probably). Mobile World Congress is no longer about mobile phones, in fact, it’s no longer really about "mobile", it’s about connectivity. Connectivity via a range of products and devices that are designed to enhance our daily lives in ways we couldn’t have imagined five, let alone ten years ago. As well as connected bovines, connected cars, homes, cities, bikes, fitness trackers, footballs and toothbrushes were all on display last year and in all honesty were far more exciting indicators of what our world is likely to look like in the next five years than the latest advances in plastics durability. These connected devices still need the telecoms infrastructure to support them, so you will still have your cell tower/switches providers etc on display. 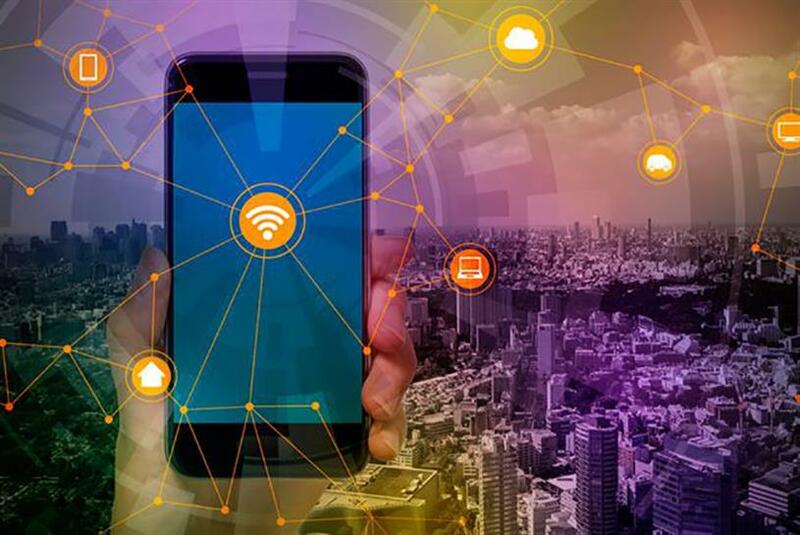 While not that exciting to your cutting edge marketer, this infrastructure will arguably be more important than ever before as the world reacts to the dramatic increase in bandwidth and infrastructure that will be needed to support all of these connected devices. Plus the increase in data we’re already going to need for our increasingly data hungry, video streaming, Pokemon chasing (still a thing), Facebook Liveing, story watching smartphones. Remember how your phone used to drop connectivity when too many devices were connected to Wi-Fi at any one time? Or when your call used to drop when you moved from an area covered by one cell tower to another? Yeah, that on a mass scale, but this time it won’t be your phone that loses connectivity, it might be your car ... or cow. I’m hoping to see new VR devices on display that provide a fully immersive VR experience without requiring a new mortgage to buy them. While in recent months there have been a number of predictions that VR might go the way of 3D TV or Google Glass, the sheer awe-filled reactions that I see from people the first time they experience a virtual dive with sharks or they get to live out a childhood dream of becoming Batman (guilty) or their disbelief when they realize they can choose their planets and design a universe from scratch, gives me the belief that VR has far longer term potential than a lot of the naysayers would have us believe. To me, VR feels like a part of the future I used to read about as a kid. If and when the costs come down, I’m pretty certain that mass adoption will follow. A "mocked by my team for it" term I use to describe the age of the Smartphone, is the age of immediacy. The companies that understood the ability for Smartphones to better facilitate the human desire for immediacy, to get what we want, when we want it, are today some of the biggest in the world. I believe that the shift to these broader connected devices has the potential to lead us into a new phase. From an age of not just immediacy but of immersion. The ability for us to immerse ourselves on a daily basis in a range of experiences that our grandparents would have only dreamed of. In our cynical rush to shoot the next big thing down, I think we sometimes forget how far we’ve come in such a relatively small amount of time. Ten years from now, I’ll be back to the conference, whatever it’s called. Matt Jones is the head of mobile strategy at Manning Gottlieb OMD.